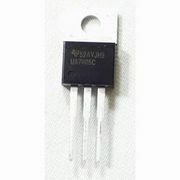 A voltage regulator is an Integrated Circuits that converts "unregulated" input power into "regulated" output power at a fixed constant voltage. Input voltages should be at least 2V above output, and can range up to 30V. In the case of variable regulators, the larger the voltage drop, the larger the thermal output is. Heatsinking is strongly recommended for regulators, currents of 1-1.5A are achievable with proper heatsinks, and while regulators do feature an internal thermal cutoff, it should not be relied on to protect the regulator. Standard through-hole regulators typically come in TO-220 packages for low current, and TO-3P packages for currents above 1.5A. Heatsinking is typically easy, however note that regulators may or may not have a 'hot' tab, with the output electrically connected to the heatsinking tab, particularly in the case of older TO-3 metal can regulators. Electrical isolation is usually required for multiple regulators on the same heatsink -- a LM317 adjacent to a LM337 on a heatsink with the output tabs connected is a short circuit through the heatsink, causing high current and failure. As the LM7XXX series regulators are mass produced and relatively inexpensive, 200-500mV of noise can be expected. Manufacturer datasheets typically recommend a 10-100uF decoupling capacitor be placed between output and ground to smooth the output, and give voltages clean enough for TTL operation amongst other applications. The datasheets vary by vendor but most are similar if not identical. The 7805 and 7833 are what I call IGO regulators, because the pinouts are Input-Ground-Output when you are looking at the front. Even if your desired output voltage is less than your available input voltage, switching regulators and buck/boost regulators are more efficient, require a much smaller heat sink (if any), but are more complicated than linear voltage regulators. If you need an output voltage higher than the input voltage, you need a switching regulator -- it can't be done with a simple linear voltage regulator. LM7805 Datasheet - Good for the LM7833 as well. 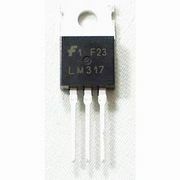 The LM317 and LM1117 are AOI regulators for the pins are Adjustment-Output-Input. Don't be afraid of using the variable regulators. Get a bag of 240Ohm resistors and then a handful of other values and you will be able to output 5V, 3.3V, and a range of other voltages with just a calculator and a resistor swap. Checkout the [LM317 calculator] for more information. The nice thing about the PTH (plated through hole) regulators, you can insert them directly into a bread board and you can heat sink these babies with nice TO-220 bolt-on type heat sink. With a heat sink, you can easily run 1A to 1.5A through these without long-term degredation. There are many mfgs for these basic v-regs. There are a whole range on Digikey and can range from ~0.50 to over $5 depending on the specs! Feel free to list prices and specs of the ones you discover and like to use. 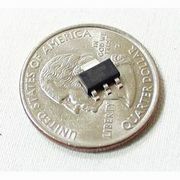 "Microcontroller Power Supplies" from PMB Electronics. This page was last modified on 2 June 2015, at 06:45. This page has been accessed 36,283 times.